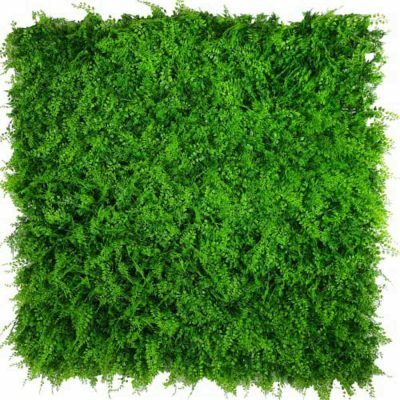 High Quality, UV engineered Green Meadows Vertical Garden Green Wall – Perfect for fences, walls, patios, balconies and more. Each DIY Hedge Panel / Screen is 1 meter wide by 1 meter long. Instant beauty is at your fingertips. A stunning blend of Mondo Grass, Photinia, Aloe Vera and Mixed Hanging Foliage. 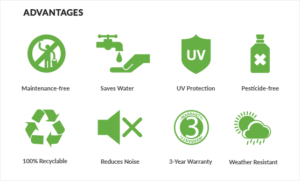 Whether you’re decorating your home, fence, balcony or wall, instant hedge screenings and artificial vertical gardens are the perfect solution for adding greenery to any wall. 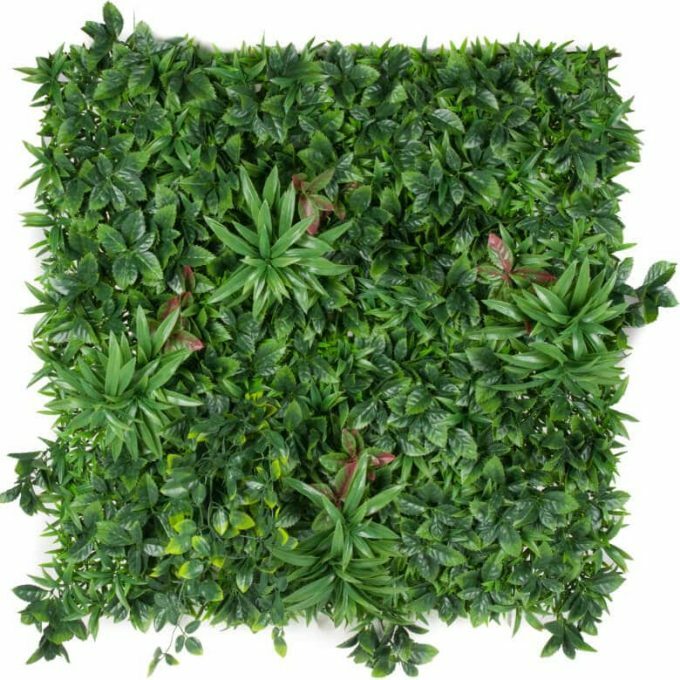 The green meadows artificial plant wall is the perfect way to add a splash of colour to an event, function or even a wedding. The foliage is a stunning blend of the dense mondo grass complimented by the red photinia leaves with aloe vera and mixed hanging foliage added in. They’re also perfect for offices, salons, or shops to add some greenery indoors. These beautiful evergreen artificial hedge panels and vertical gardens are perfect for indoors or out, and are super easy to install. They can be joined together using the hole and lug system around the outside of each panel to make any size you want. Alternatively, they can be cut along the grid on the back to make them as small as you desire, or shape them into a custom vertical garden. 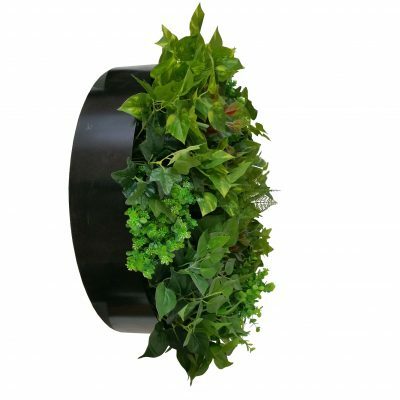 Make your Vertical Garden as large as you’d like – they are easy, and quick to join together, and provide instant results, or check out our pre-built portable hedges too on the ‘Buy Online’ page.